Matt Ridley aka Viscount Ridley is a coal baron, science writer and AGW denier (lukewarmer variety) on the Academic Advisory Council of the denialist Global Warming Policy Foundation. Ridley is a landed aristocrat who earns an estimated £4.1 million each year from opencast coal mines on his Blagdon Estate with income guaranteed until 2020. He is also a Conservative member of the House of Lords. Ridley was chairman of the UK bank Northern Rock from 2004 to 2007, during which period Northern Rock experienced the first run on a British bank in 150 years. Ridley chose to resign, and the bank was bailed out by the UK government leading to the nationalisation of Northern Rock. 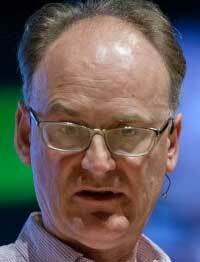 Matt Ridley is an English science writer, journalist and businessman. He was born in England in 1958. Ridley is best known for his books, which mainly focus on evolution and genetics, but he has also written for numerous (mostly conservative) newspapers. In 1983 he joined the Economist as science correspondent and became American editor in 1992. Ridley studied zoology at Oxford University, completing a zoology doctorate in 1983. He holds a directorship at Northern Investors (1994-present). Ridley is former chairman of Northern Rock Plc (2004-2007) and Northern 2 Venture (1999-present). In 2013 he was elected as hereditary peer in the House of Lords as a member of the UK Conservative Party. Ridley has no expertise or training in climate science. A speech Ridley gave in 2011 was textbook "Gish Gallop" (a debating technique in which a rapid-fire presentation of arguments, and changing topics very quickly, drowns opponents in such a torrent of small points of contention that they cannot possibly answer or address each one in real time) full of false claims, logical fallacies, and trivially true but irrelevant facts. It was "skeptic bingo", showing Ridley as "a techno-optimist of the Lomborgian mold". 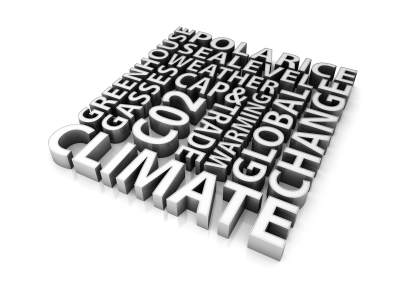 The speech was riddled with inconsistencies and errors, such as claiming the climate changed rapidly in the past, but asserting that climate sensitivity is very small. He also flubbed basic concepts, such as mixing up equilibrium sensitivity and transient sensitivity. I have come to the conclusion that current energy and climate policy is probably more dangerous, both economically and ecologically, than climate change itself. This is not the same as arguing that climate has not changed or that mankind is not partly responsible. That the climate has changed because of man-made carbon dioxide I fully accept. What I do not accept is that the change is or will be damaging, or that current policy would prevent it. There are many likely effects of climate change: positive and negative, economic and ecological, humanitarian and financial. And if you aggregate them all, the overall effect is positive today — and likely to stay positive until around 2080. In every age and at every time there have been people who say we need more regulation, more government. Sometimes, they say we need it to protect exchange from corruption, to set the standards and police the rules, in which case they have a point, though often they exaggerate it... The dangerous idea we all need to learn is that the more we limit the growth of government, the better off we will all be. In 2007 the environmentalist George Monbiot wrote an article in The Guardian connecting Ridley's libertarian economic philosophy and the £27 billion failure of Northern Rock. On 1 June 2010 Monbiot followed up his previous article in the context of Matt Ridley's book The Rational Optimist, which had just been published. Monbiot showed that Ridley had failed to learn from the collapse of Northern Rock. In November 2010, the Wall Street Journal published a lengthy exchange between Ridley and the Microsoft founder Bill Gates on topics discussed in Ridley's book The Rational Optimist. Gates said that "What Mr. Ridley fails to see is that worrying about the worst case—being pessimistic, to a degree—can actually help to drive a solution". On anthropogenic climate change in 2014, a Ridley Wall Street Journal op-ed was sharply challenged by Jeffrey Sachs of Columbia University's Earth Institute. Sachs termed "absurd" Ridley's characterization of a paper in Science magazine by two scientists Xianyao Chen and Ka-Kit Tung. Sachs cited the data in the article to rebut Ridley's contentions. Ridley sits on the advisory councils of the British lobby groups Sense About Science and Reform. The White-Ridley family has owned the stunning Blagdon Estate in Northumbria since 1700, and for centuries mined coal and fireclay to amass a considerable fortune while fuelling the Industrial Revolution and British Empire. It has been estimated that open cast coal mining on this estate earns Ridley £4.1 million annually. The failure of Northern Rock was the first run on a British Bank since 1878. Under his chairmanship, the bank pursued what the Treasury select committee later described as a "high-risk, reckless business strategy". MPs identified the directors of Northern Rock as "the principal authors of the difficulties that the company has faced". They singled Ridley out for having failed "to provide against the risks that [Northern Rock] was taking and to act as an effective restraining force on the strategy of the executive members". Howard Friel, "Serial Mistake-Makers on Climate Change: On Bjorn Lomborg and Matt Ridley", Znet, June 14, 2010. ↑ Beamish, David (6 February 2013). Conservative Hereditary Peers' By-election, February 2013: Result (PDF). Retrieved on 6 February 2013. ↑ 2.0 2.1 Things Break (pseudonym) (2011-11-03). Matt Ridley needs to take some advice from Matt Ridley. The Way Things Break. Retrieved on 2011-11-03. ↑ "A Lukewarmer's Ten Tests", GWPF Report (28 January 2013). Retrieved on 20 December 2013. ↑ "Lord Ridley: Glass half full", The House Magazine (28 November 2013). Retrieved on 16 December 2013. ↑ "Why climate change is good for the world", The Spectator (19 October 2013). Retrieved on 16 December 2013. ↑ What's your dangerous idea? Matt Ridley "Government is the problem not the solution". The Edge (1 January 2006). Retrieved on 1 March 2008. ↑ Monbiot, George (23 October 2007). "Governments aren't perfect, but it's the libertarians who bleed us dry", London: The Guardian. Retrieved on 23 October 2007. ↑ Monbiot, George (7 June 2010). "The Man Who Wants to Northern Rock the Planet", The Guardian. Retrieved on 7 June 2010. ↑ Monbiot, George (19 June 2010). Ridleyed With Errors. George Monbiot. Retrieved on 19 June 2010. ↑ Ridley, Matt (26 November 2010). "Africa Needs Growth, Not Pity and Big Plans". Retrieved on 13 April 2011. ↑ Gates, Bill (26 November 2010). "Africa Needs Aid, Not Flawed Theories". Retrieved on 13 April 2011. ↑ Sachs, Jeffrey, "The Wall Street Journal Parade of Climate Lies", Huffington Post, 09/06/2014. Sachs' article links to Ridley's "Whatever Happened to Global Warming?" (subscription required), Wall Street Journal, September 4, 2014. Retrieved 2014-09-07. ↑ Ridley, Matt (2014-09-07). Whatever happened to global warming?. Matt Ridley Online. Retrieved on 2014-09-14. ↑ George Monbiot (2010-05-31). This state-hating free marketeer ignores his own failed experiment. The Guardian. Retrieved on 2011-11-03. This page was last edited on 4 February 2015, at 04:19.